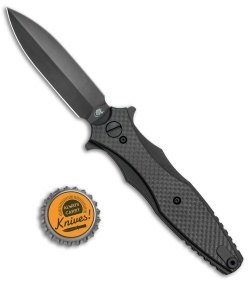 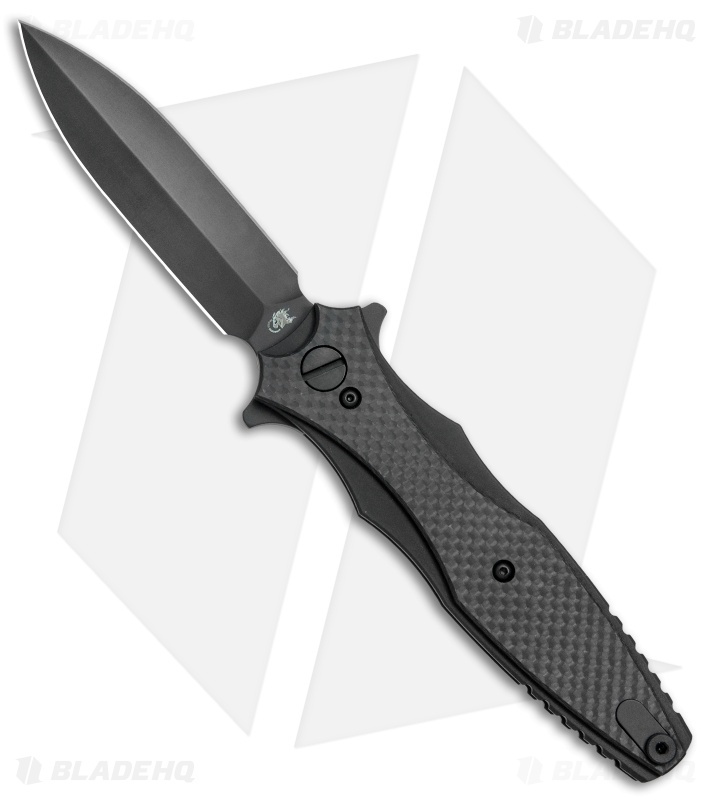 This Maximus model is equipped with a double-edged dagger blade made from CPM-20CV steel in a DLC Black finish. Its DLC finished titanium frame is fitted with smooth carbon fiber scales. The Maximus is a symmetrical folding dagger design from Hinderer Knives. It offers twice the cutting edge of a standard folding knife with a sharpened double-edged dagger blade. Use one edge for tougher cutting tasks, and leave the other razor sharp for finer work. 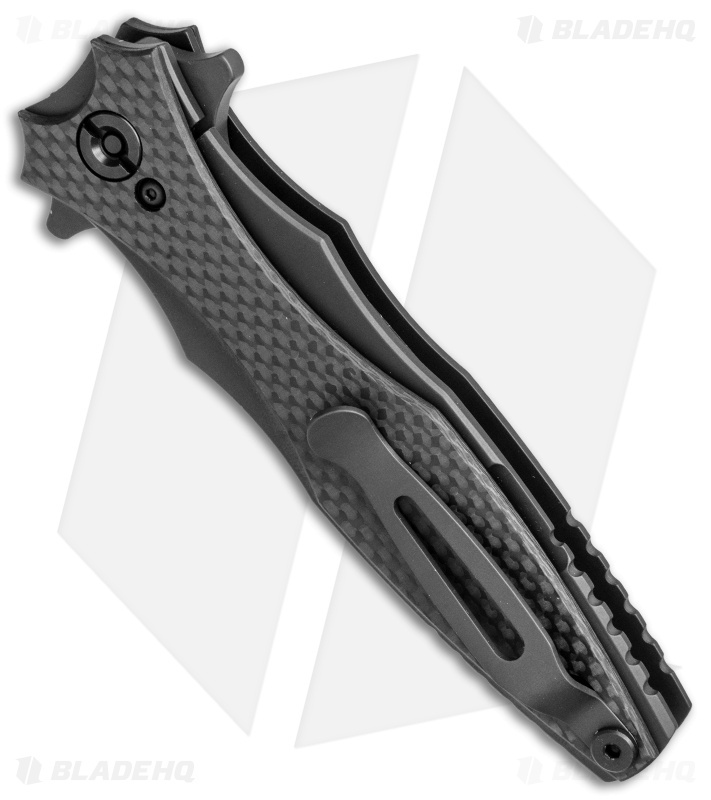 An elegant titanium frame lock handle provides a secure grip in regular or reversed holds.